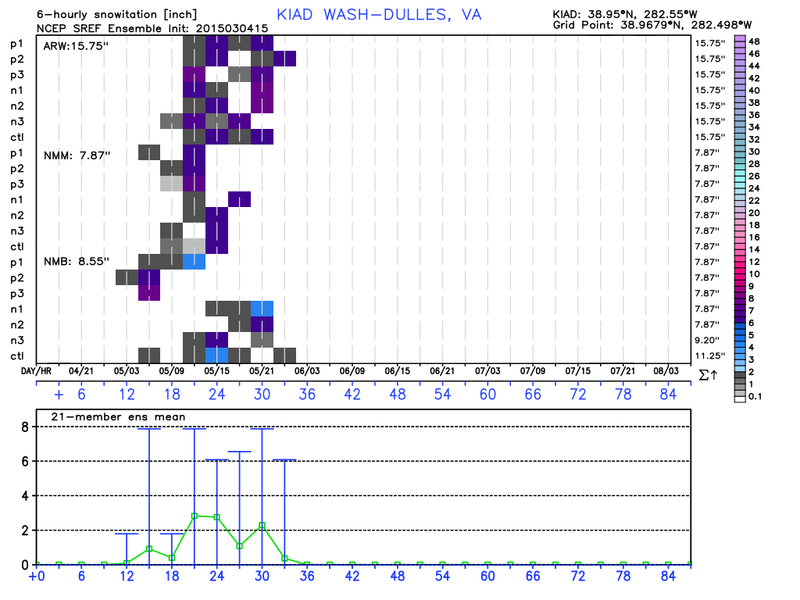 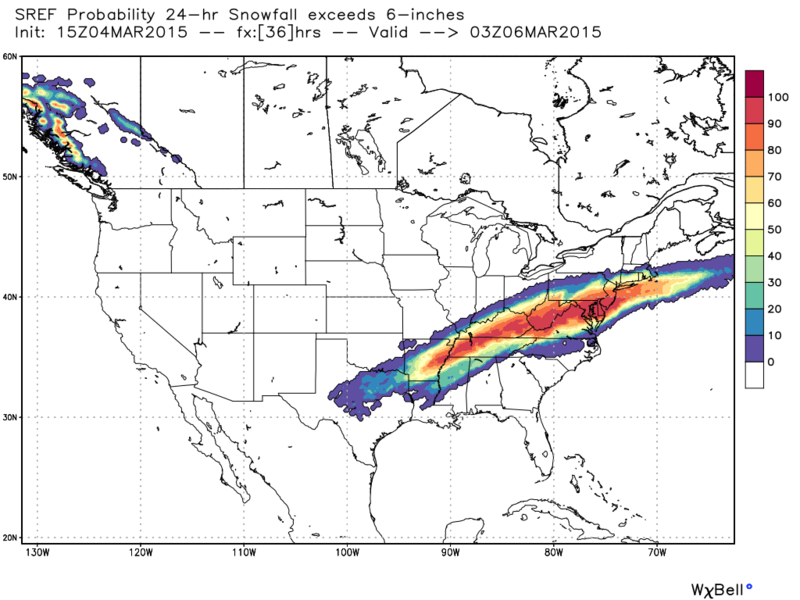 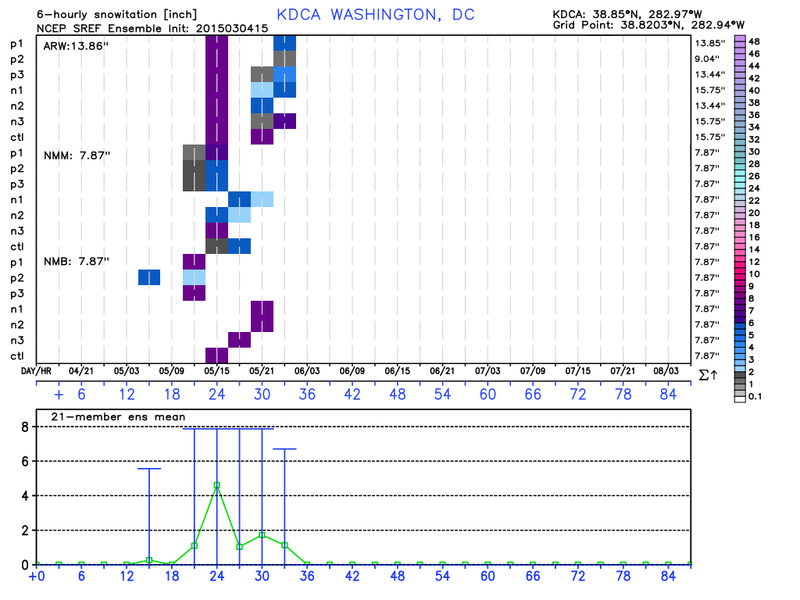 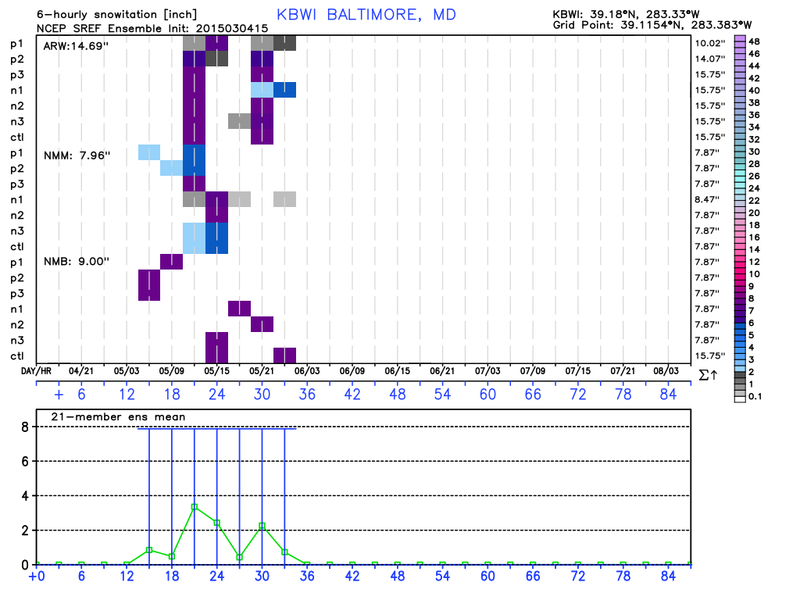 SREF Probability of receiving greater than 6″ of Snowfall. 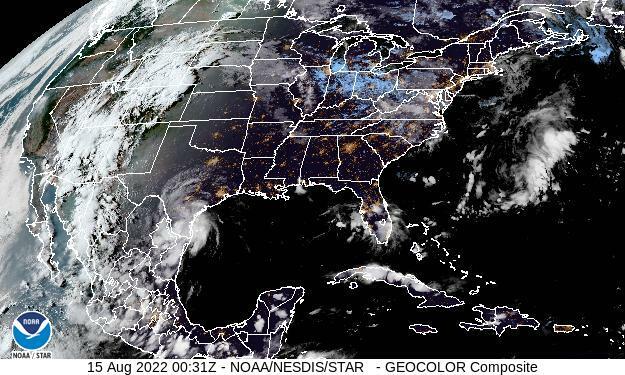 Image courtesy, Weatherbell. 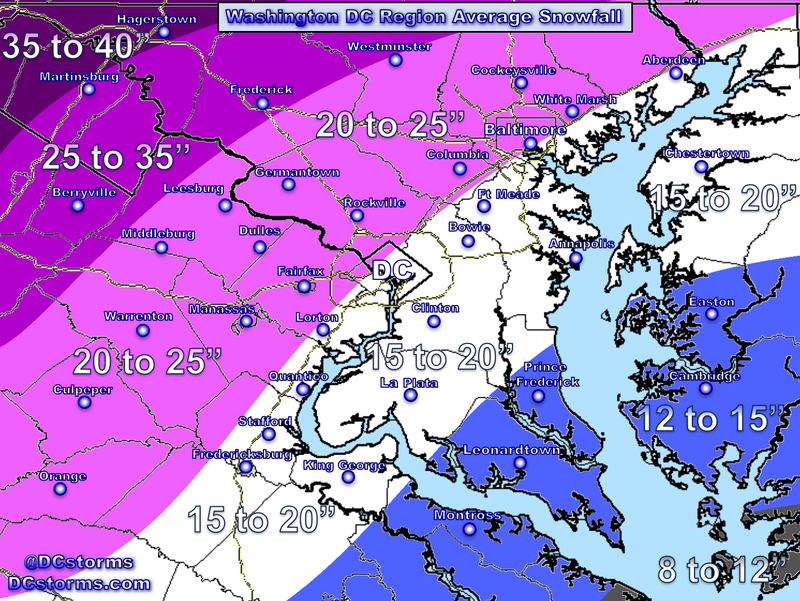 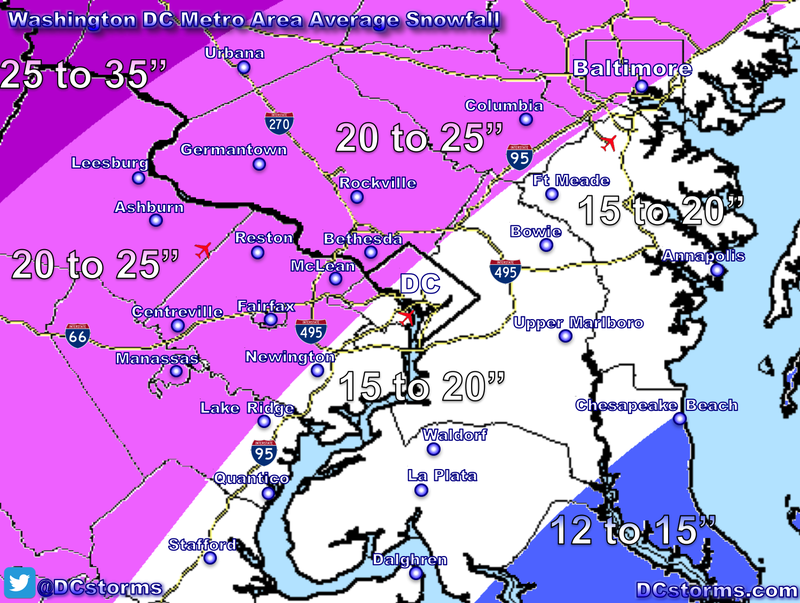 Previous Post Previous post:How Much Snow Will Fall in Your Neighborhood?